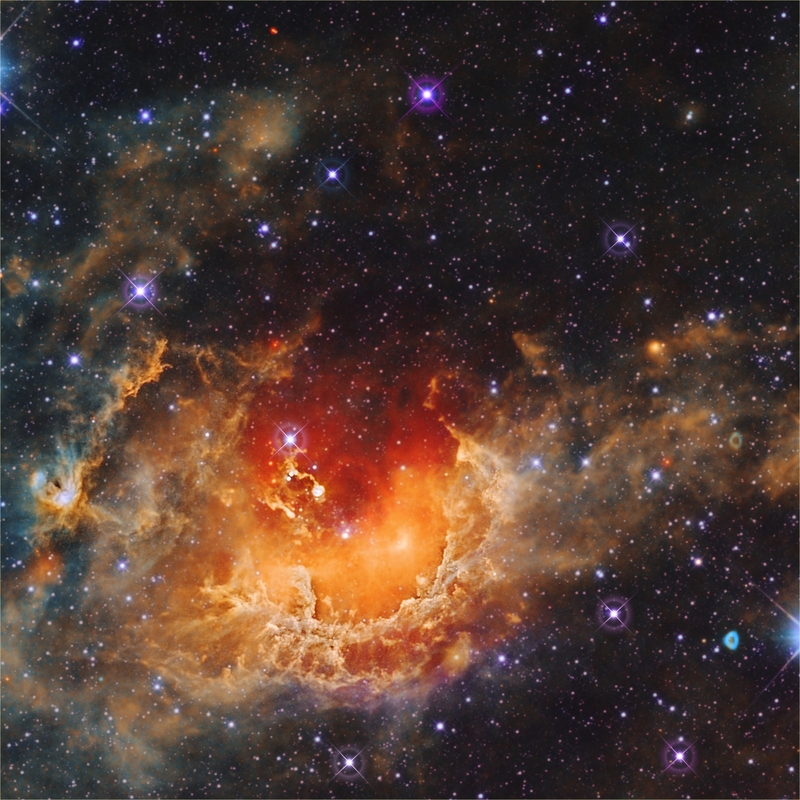 Explanation: Dusty emission in the Tadpole nebula, IC 410, lies about 12,000 light-years away in the northern constellation Auriga. The cloud of glowing gas is over 100 light-years across, sculpted by stellar winds and radiation from embedded open star cluster NGC 1893. Formed in the interstellar cloud a mere 4 million years ago, bright cluster stars are seen all around the star-forming nebula. Notable near the image centre are two relatively dense streamers of material trailing away from the nebula's central regions. 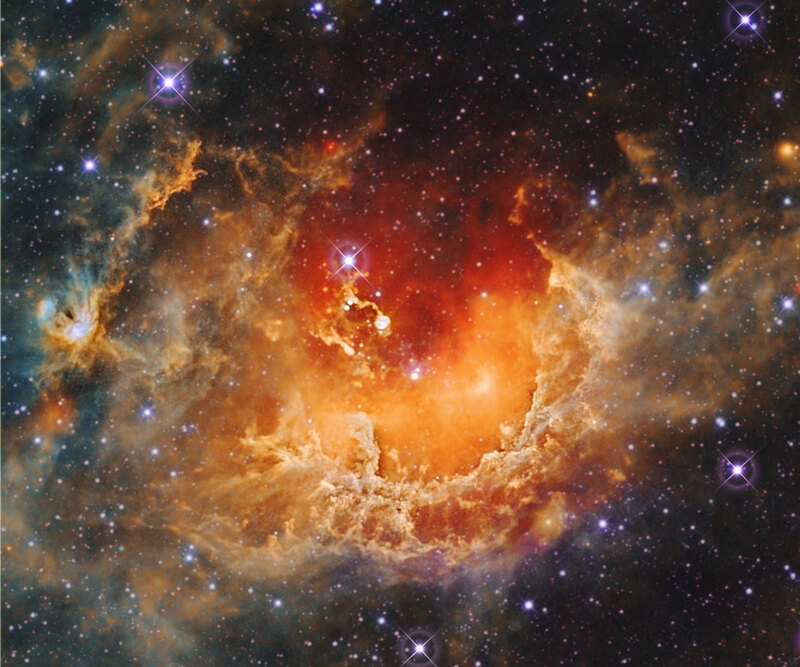 Potentially sites of ongoing star formation in IC 410, these cosmic tadpole shapes are about 10 light-years long. The featured image was taken in infrared light by NASA's Wide Field Infrared Survey Explorer (WISE) satellite.